No you’re not seeing things. That is indeed Elton Jon’s name in the cast list. Alongside no less than four Oscar winners. Mind you, Sir Elton doesn’t really stretch himself here rather playing a version of himself. Unlike the aforementioned Oscar winners. 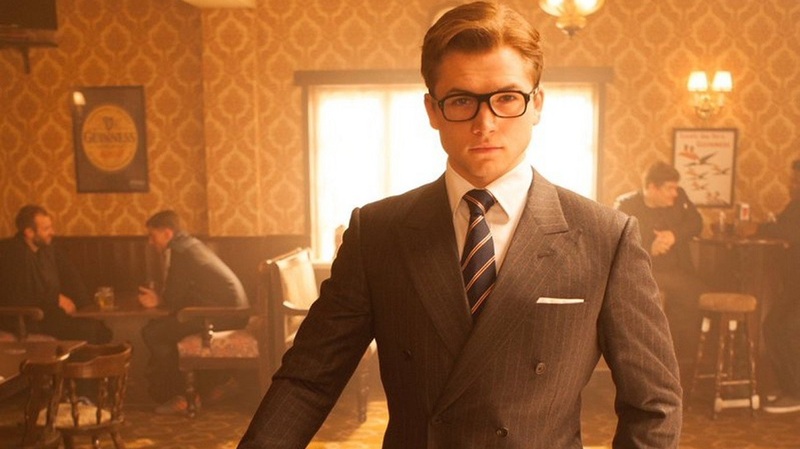 If you’ve seen the first Kingsman movie your mind is probably already made up about this one. A quick straw poll concluded that it was somewhat of a Marmite movie. I personally enjoyed it but amongst those I asked it was 50:50 with no happy medium. You will also know that Colin Firth’s character Galahad (SPOILER ALERT) was killed off. But he is indeed back here through some storytelling wizardry alongside Taron Egerton as his protégé (who took up the mantle of Galahad when he thought Galahad was dead and that’s not confusing at all!) and Mark Strong as tech wizard Merlin. They are forced to team up with their American counterparts Statesman when almost their entire number is wiped out in a missile attack. With Julianne Moore’s panto baddie Poppy Adams holding the world hostage thanks to a deadly virus that is being spread through her illegal drugs the polar opposites must work together to try and obtain the antidote and save the world. This is bolder and brasher than the first movie. They have a bigger budget and it shows. The action scenes are super stylised and there are big set pieces that wouldn’t look out of place in a James Bond movie (if James Bond didn’t take himself too seriously!) While it does have an incredibly silly plot and a ridiculously OTT baddie somehow this manages to work. Firth, Egerton and Strong all play it totally tongue in cheek and are only short of giving a knowing wink to the camera and although he plays himself badly there is something hilariously charming about Elton’s performance. In fact, Halle Berry is one of the weakest links here as she is given very little to do and there is a sub plot involving her being turned down for field work by another agent that never really gets explained properly and just hangs there. This lacks the charm and naiveté of the first offering and at times is too clever for its own good. It is slightly too long at 141 minutes and is clichéd and predictable in places. On the whole it is good fun though. It’s not setting itself up as serious fare and as such it can get away with some silliness and not one but TWO deaths by mincer! Not as good as the first one and absolutely bubble-gum for the senses but if you just want some light hearted, untaxing and uncomplicated entertainment this is the movie for you.